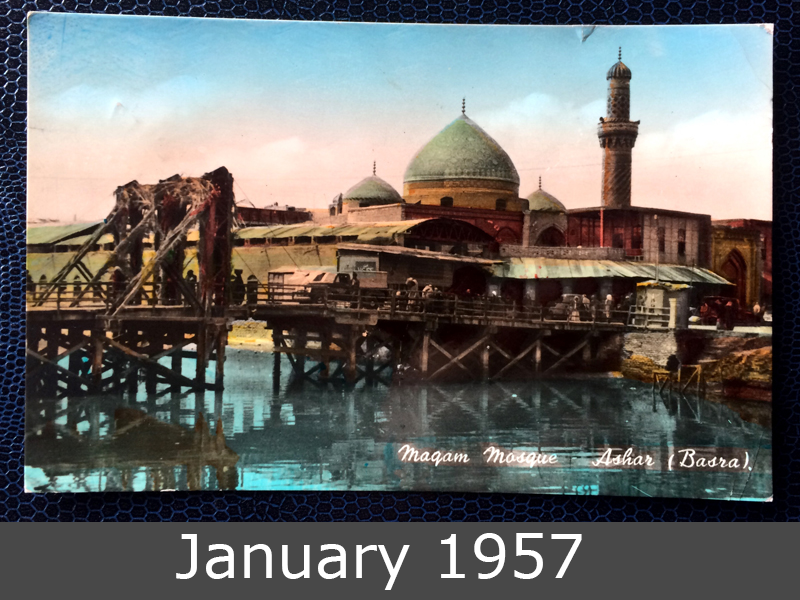 This is the Al Maqam Mosque in Basra in January 1957. ‘Maqam’ means “shrine”, and it is believed that the site was originally a place of shrine. The construction of the mosque itself dates back to 1754 by the Ottomans. It was among the largest mosques during the time, with the area size of 600 square meters and the haram having capacity of 500 worshipers. The building is made of brick and constructed in the older Islamic architectural style. 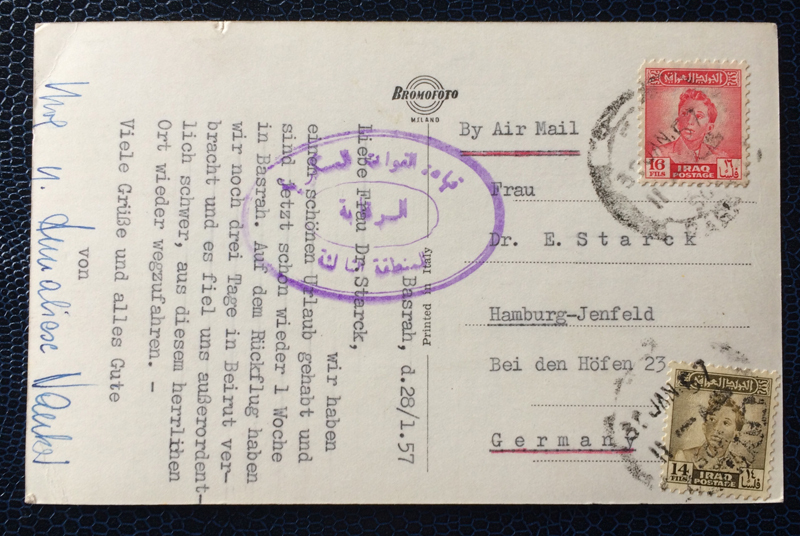 This postcard goes to Hamburg in Germany.